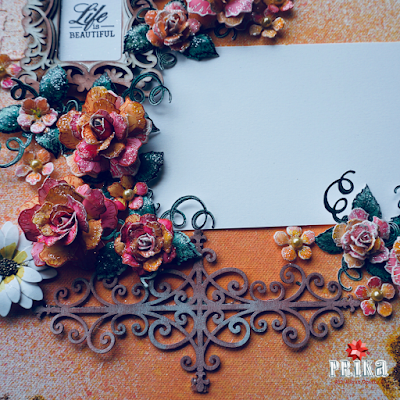 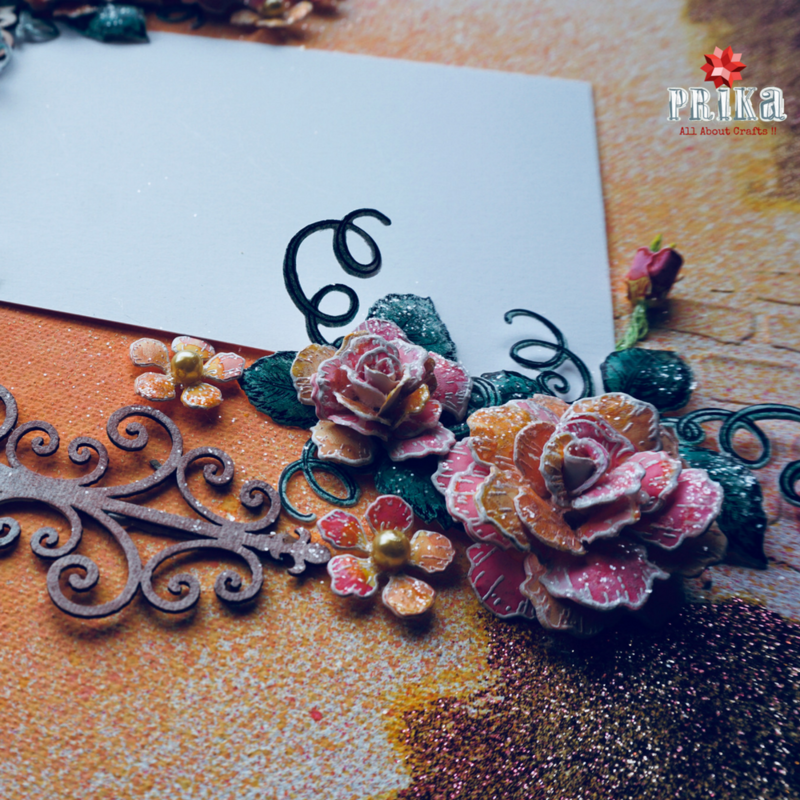 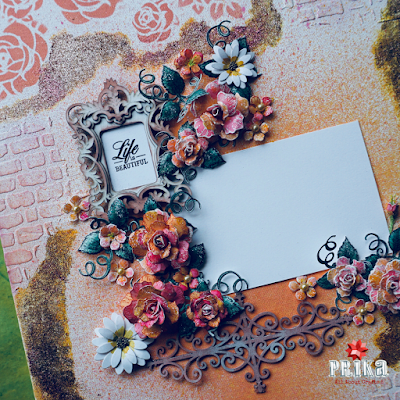 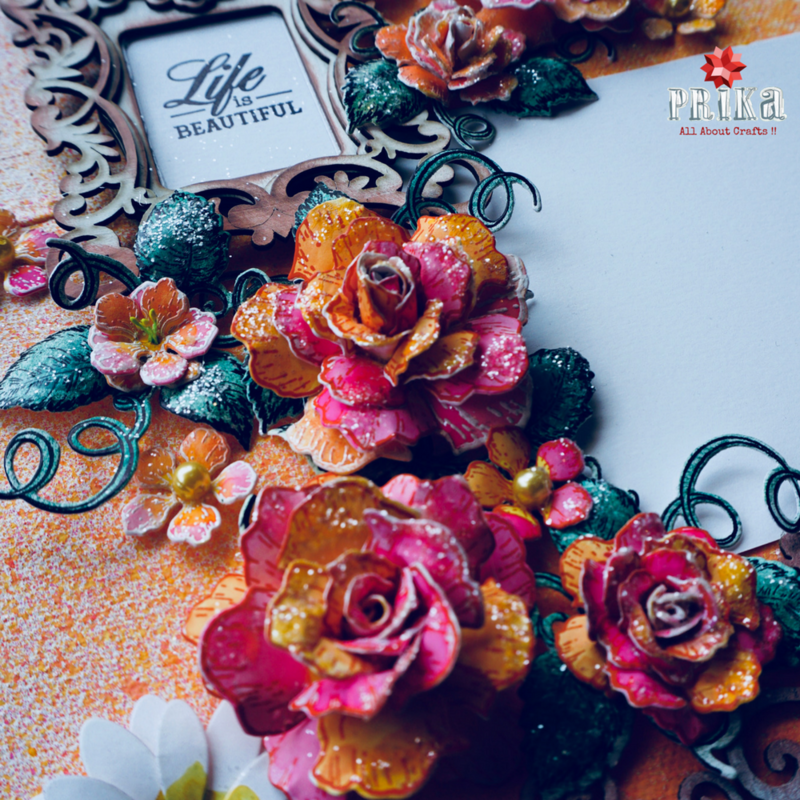 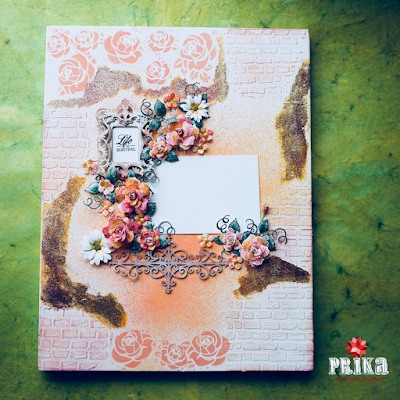 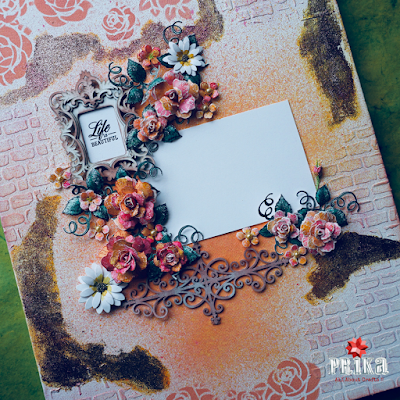 I am in love with everything on the canvas, the roses with pink and orange texture is all self made using classic rose stamp and die set. There was lot more supplies used from different craft brands, Got Mixed Media Paste, Brick and Roses Stencil, Copper and Sheer Rose Glitter Dust, Chip board Cutouts and Frame, Colour Splash Pink and Yellow all from Little Birdie. Flower Paper from Dress my Craft, Distress Oxides Worn Lipstick, Archival Ink Orange and Plum. Life really seems so beautiful when ever I see this creation of mine, can’t take my eyes off. 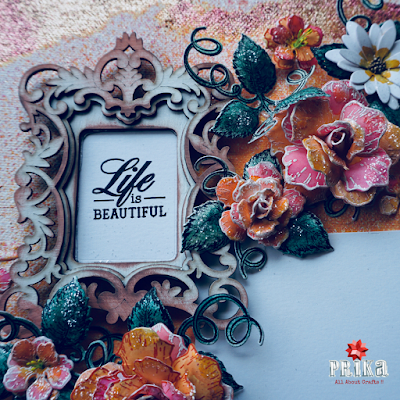 Waiting for a nice picture of mine to add to it and celebrate life everyday. 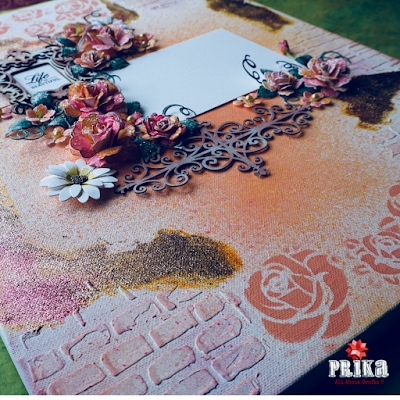 I hope you liked my project and trial with the new collection, soon will be coming up woth more projects with the same.